How to unlock Google account verification or Gmail lock or Google re-verification lock on your Android device and this tutorial is for Android smartphone for the TECNO i3 Android 7.0. By following this tutorial you can easily remove the FRP lock or Google lock of the Android device, as this device is has MediaTek MTK Chipset and it can be unlock using SP flash tool. 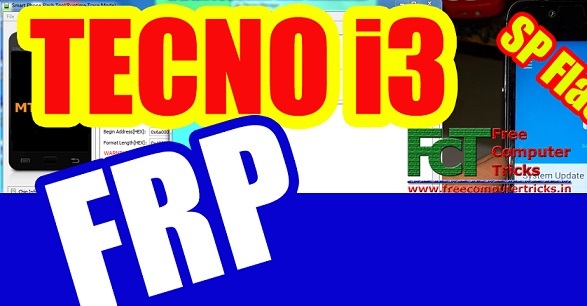 To know the unlock process you can watch the video tutorial link given below and here you can download the Flash tool and unlock file for TECNO i3 to reset or unlock FRP settings of the phone. Please go through the below details to download the file and tool. 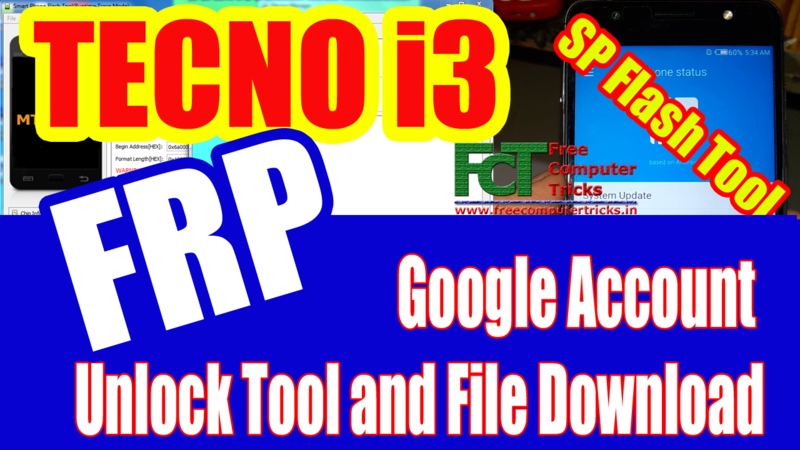 Download the Google Account verification bypass or FRP unlock file from the below link and watch the video tutorial to know how to format the FRP lock of the phone using SP Flash Tool. If you have facing any problem during this process, please ask through comments either here or Video tutorial on YouTube. Download the FRP file from the link given below.